February 2017: Pattern Euphoria by Sandu Publishing features over 40 designers from around the globe. So honored to have a 6 page spread! 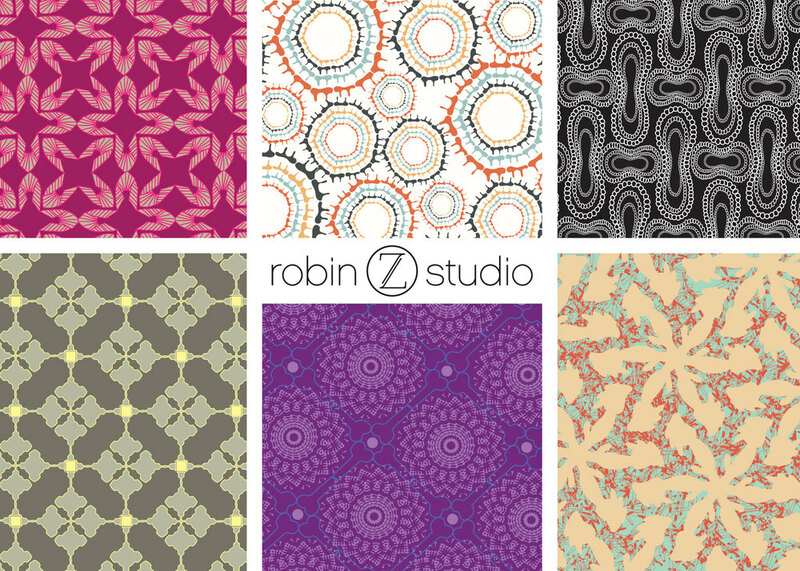 March 2015: Introducing "Sanzio" my new licensed collection with Guildery! Greeting cards featuring my illustrations of microscopic molds used in the cheese making process available exclusively at The Truffle Cheese Shop in Denver. The 2015 Surtex Webinar Series is underway! Click here to sign up for the Booth Design and Logistics Bootcamp webinar that I will be presenting on February 5th and April 2nd, 2015. ©2018 Robin Z Studio, LLC. All images on this site are registered and protected by US Copyright. Please do not use or distribute any images without prior written consent.